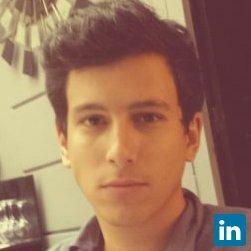 Motivated, social, dynamic and creative student from Inseec business school, i'm seeking a career on the gaming industry. Motivated, social, dynamic and creative student with good capacities of adaptation and integration, I'm seeking a career in the gaming industry. A three month internship in DistribFilm a distribution company in the film industry. France, Paris. A tree month internship in London at ISLINGTON CENTER FOR ENGLISH an English school for foreigner. E-marketing and communication tasks. One year master of science program specialized in digital and e-business. A 4 year International Business degree program which alternates courses in Marketing, Finance, International Trade, Business Law, Languages with several internships abroad and in France. Five months of studies in Tallinn (Estonia) in TUT( Tallinn University of technology) with the Erasmus program. Very good level. A score Of 583 at the TOEFLE exam. Fan of gaming culture and video game industry.